The Hospital name was derived from Rainbow colours which is one of nature's most beautiful phenomena. It brings happiness and joy to one's life. Rainbow colours help in relieving all the tensions and worries of the individual. 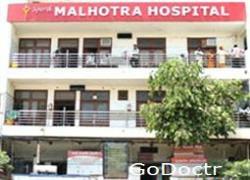 Multispeciality hospital which is one of its kind in the city of Agra and Western U.P. ART Rainbow IVF state of art IVF lab, A complete solution to the problem of infertility. Currently tunning 110 beds with plants to expand in the near future. Equipped with 7 world class Modular Operation theaters, Neurosurgery Suite, Labour Suites with unmatchable diagnostic services. Rainbow colors (VIBGYOR) symbolize the multispecialities of this state of “Art” most modern hospital of Agra region for superspeciality treatments. 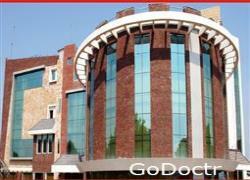 In 2012-13 Rainbow Hospitals, Agra has stood by its motto of Hope; Heal; Health and Happiness. We have strived hard to provide the highest quality of medical care and treatment to our patients. We have an integrated Holistic approach to medical treatment and also offer holistic medicine including Ayurveda and various relaxation therapies. Our motto has been “transparent health care” for all.